Regulation A, in which you can raise $50M from both accredited and non-accredited investors in a given year, and the tokens are available to trade immediately (no 12-month lock-up period). When asked to define the difference between an ICO (Initial Coin Offering) and an STO (Security Token Offering), Andy Bromberg, Co-Founder & President of CoinList, took a step back and said, “there’s two regulatory classifications that matter. One is the classification of what you are selling at the time of the offering, and the other is the intended regulatory status of what you are offering.” Bromberg is referring to a SAFT, a Simple Agreement for Future Tokens, a structure that Filecoin used on CoinList, in which a company, e.g. Filecoin, offers a security that later (hopefully) converts to a utility. An ICO, in Bromberg’s opinion, is the sale of a tokenized security that may or may not eventually be securities. STOs are a subset of that: offerings in which the end product is always a security, such as an asset-backed token. Because of the strictness of US securities laws, Mason Borda, the CEO of Tokensoft, said many of his clients have chosen to exclude the US from their offering. 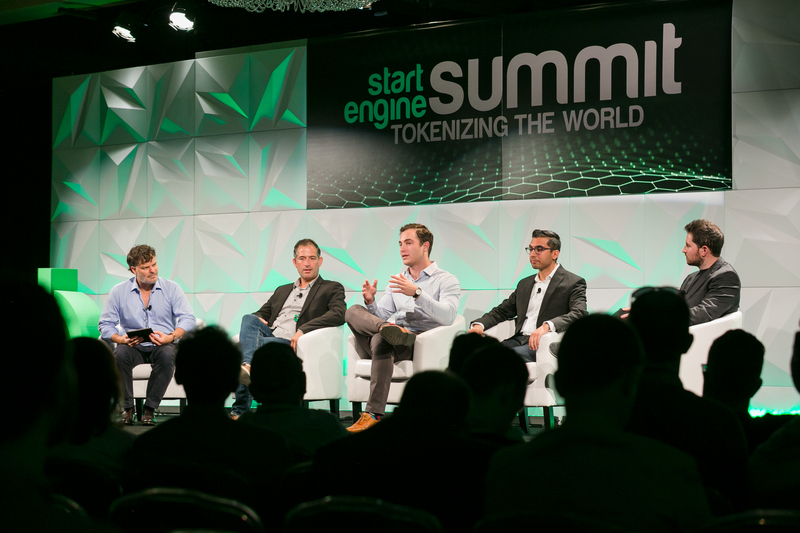 Bromberg points to Stephen McKeon’s The Security Token Thesis as a starting point (McKeon also moderated one of the panels at the StartEngine Summit), but in essence the argument is this: tokenization creates “more liquid and more efficient markets for securities that don’t have hyper efficient, hyper liquid markets today.” It also allows for interoperability, where different security tokens can interact with each other, and you can create unique contracts that reference multiple securities and create new financial products on top of that. For example, if you wanted to invest in real estate, you could pick and choose which buildings you wanted to invest in as opposed to taking an entire basket in a REIT, organized by a bank or institution. However, tokenization gets tricky once you the offering becomes global. Borda discussed how every country has different laws for issuance, but it increases in complexity after issuance. Some countries have investor limits, some regions aren’t supposed to trade with others, and the list goes on. Borda’s platform Tokensoft helps companies navigate international regulations and how to do a compliant sale overseas. The other big regulatory issue that many entrepreneurs are unaware of is Rule 12g. Amster walked the crowd through 12g, which states that if you have over 2,000 investors or over 500 non-accredited investors, you have to be a fully reporting company, which is very expensive. However, Regulation Crowdfunding and Regulation A are both exempt from 12g if the company meets a few requirements: they must have less than $25M or $75M in assets (depending on the exemption used), they need to be ongoing with reporting, and they must use a Registered Transfer Agent, that is registered with the SEC. These exemptions mean a company can have tens of thousands of investors, and that sheer volume is necessary to create real liquidity for your tokens. But in time, all the panelists believe that will change.